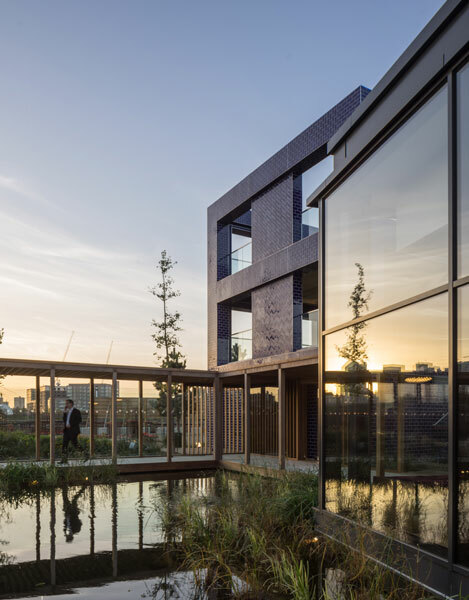 Dusk photograph looking out towards Trinity Buoy Wharf, London. 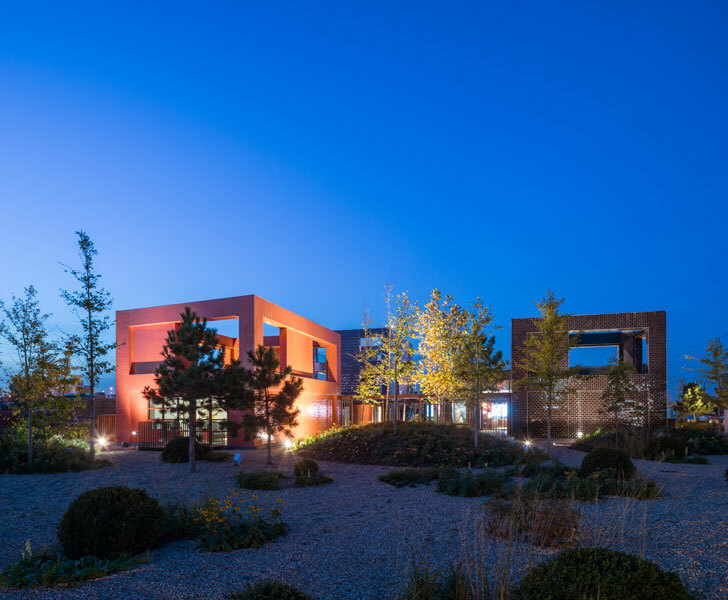 6 of 11. 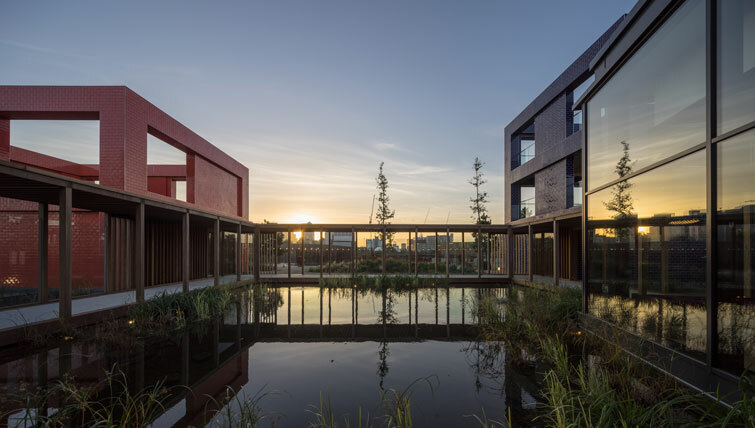 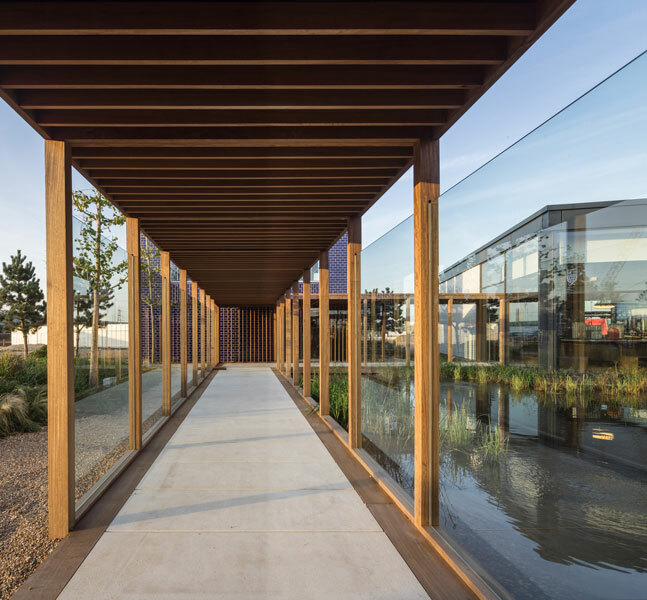 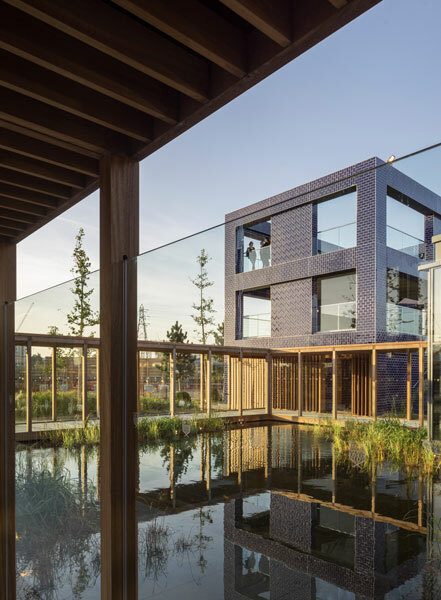 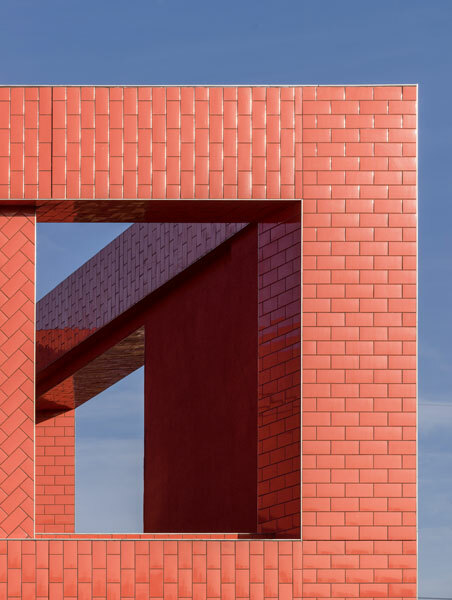 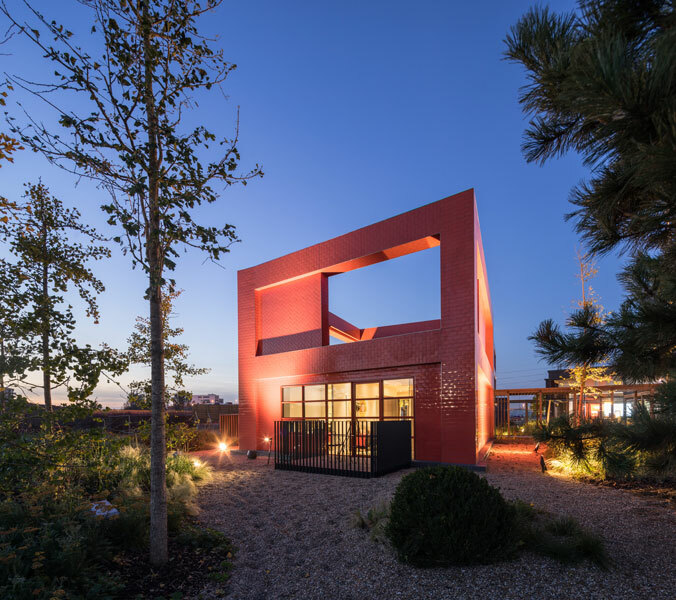 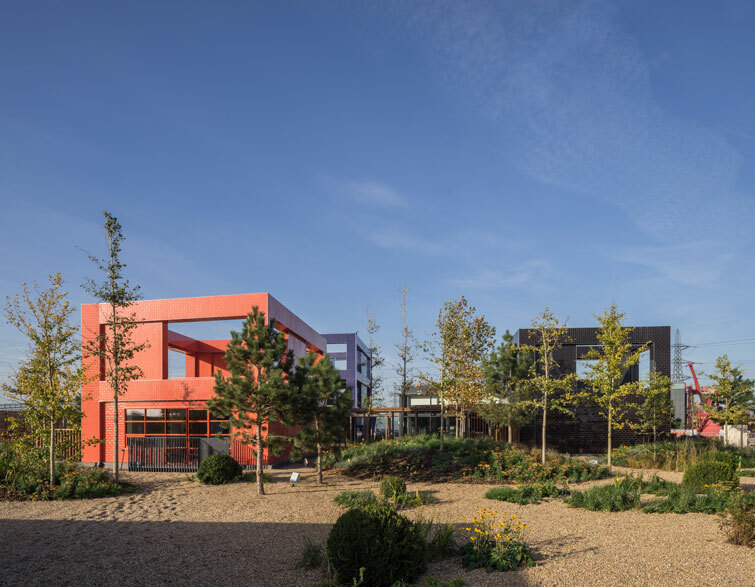 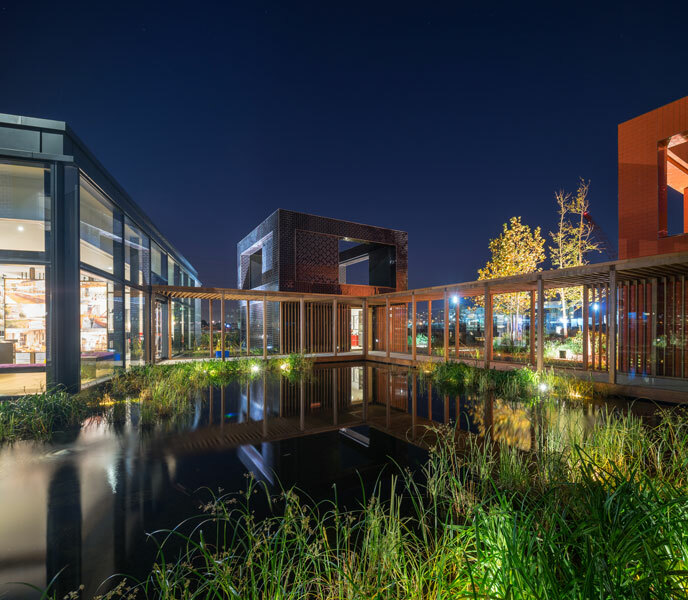 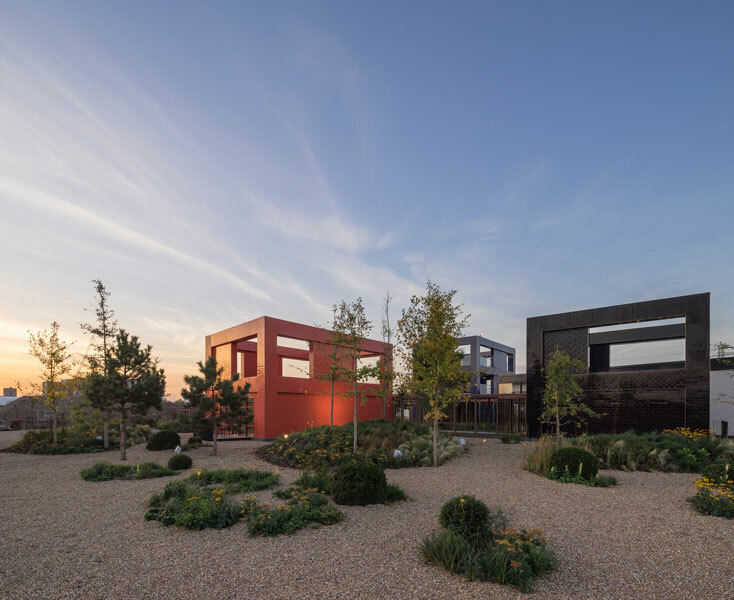 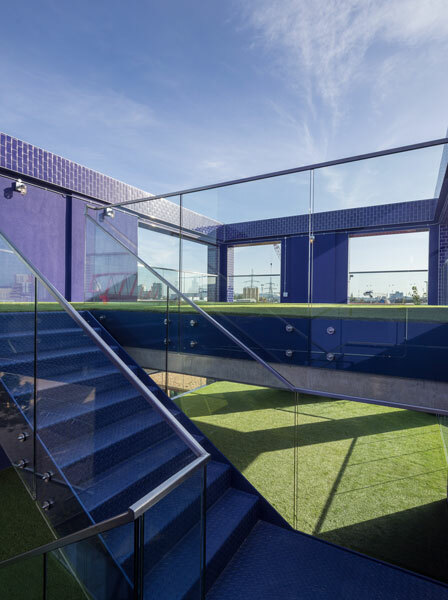 Opened in early 2015, Arup Associates in collaboration with HAL, designed a series of pavilions set in landscape and linked by a covered walkway, which became the focus of the sales and marketing for Ballymore’s east London waterside development, City Island.